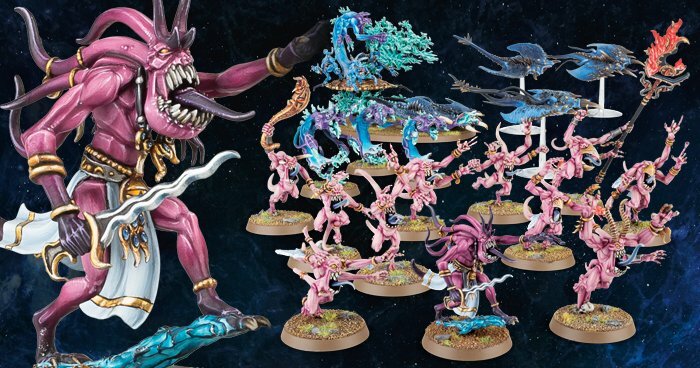 It’s time to take a look at the masters of change – Tzeentch Daemons are up next with a new Faction Focus! 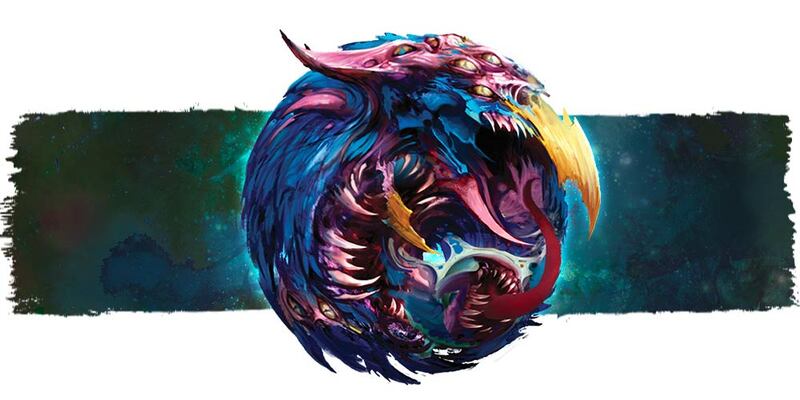 Tzeentch Daemons have been an undeniable force in the 40k scene. Their powerful psychic barrage coupled with their daemonic survivability and tricky ways have proven to be very viable on the tabletop. Today GW is showcasing some more of the dirty tricks these Blue Daemons have in their utility belt! 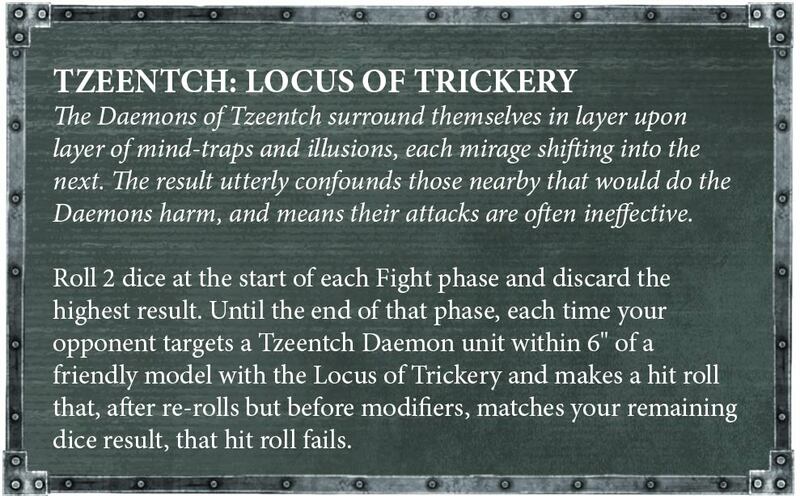 We already got a look at the Locus of Trickery – this is a pretty powerful ability as it will certainly help out in the Fight Phase. This has some serious potential to make daemons “hang out” in combat a lot longer than they have any right too! The Locus of Conjuration is a new Daemon Straragem. 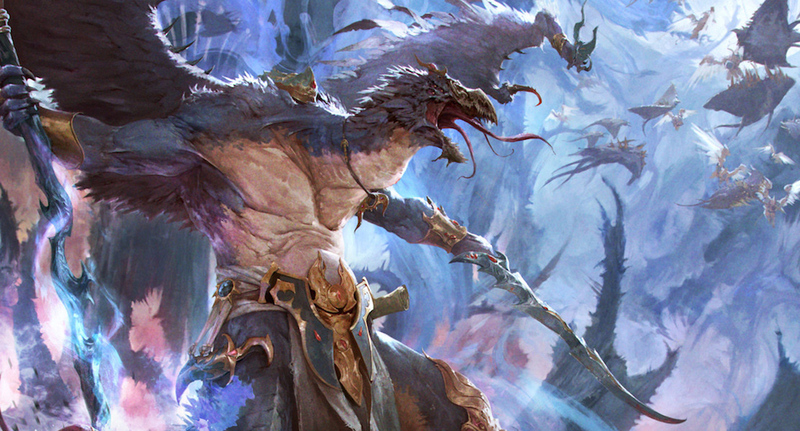 It’s going to enable you to get free re-rolls for daemons within 6″ of that character! That’s going to help stretch those Tzeentch Powers even further! Flickering Flames has a been a mainstay for the Daemons of Tzeentch for many editions. It’s got a new version that has been reinvented to aid in your shooting. It allows a unit to add 1 to any wound rolls made for that unit’s shooting. With a little luck and enough shots, even those pesky horrors can bring down massive warmachines or the toughest unit. Anything that boost your to wound roll is going to be useful for volume shooting! 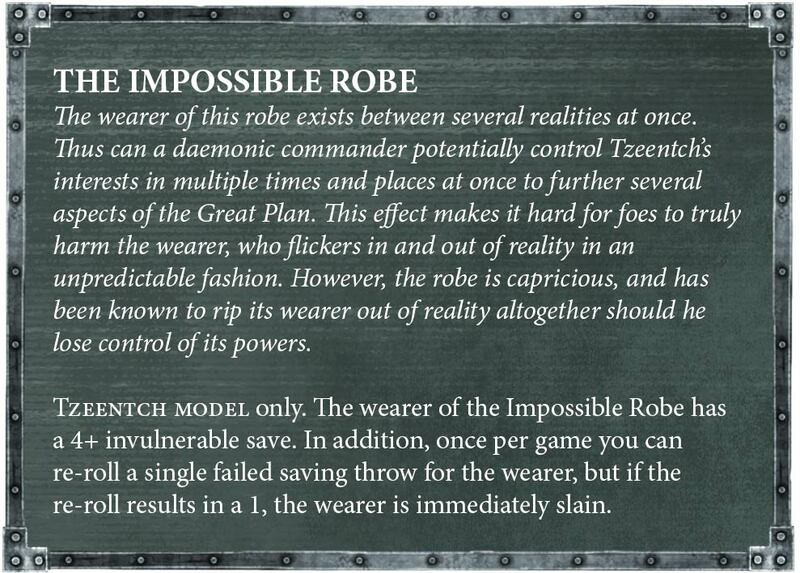 And back on the defensive side of the house, The Impossible Robe is a great way to keep your character alive. Be warned – it can backfire on you… if you choose to use it’s other special ability to re-roll a single failed save, and you roll a 1, the wearer is immediately slain! 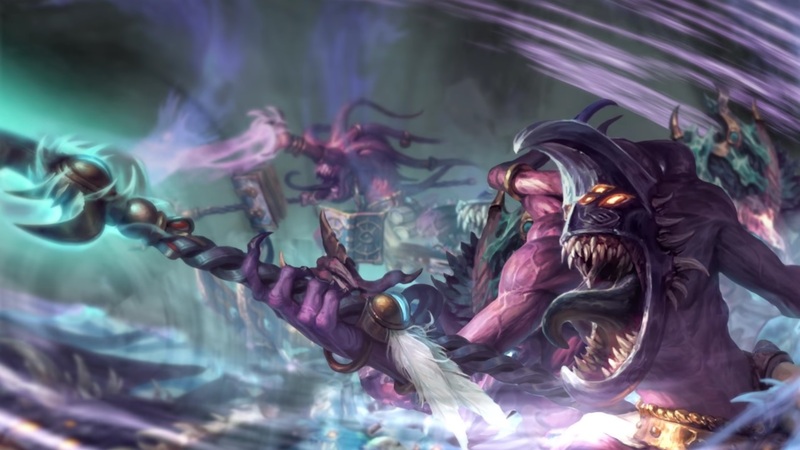 Tzeentch Daemons are heading to the tabletop with the upcoming Codex: Chaos Daemons. Are you ready for them?